Here at Harleston CE Primary Academy, we are committed to delivering fun, stimulating and competitive PE and Sport for all of our pupils. Both the children and staff understand the importance of an active and healthy lifestyle and how different activities can affect their fitness and improve their physical development, stamina and creative movement. It is compulsory that all children take part in at least 2 hours of high quality PE each week to help them to understand the importance of teamwork, competitive sport and the need to strive to exceed their own personal skills across a variety of different sports. PE at our school is a central part of the children’s lives. We continue to offer our children the opportunities to take part in a range of inter and intra school festivals and competitions, both as individuals and as part of a team. These events have included our teams representing our school at South Norfolk finals in Tag Rugby, Swimming and Tri-Golf. All the children who attend these competitions or events, are awarded for their efforts in a celebration assembly with certificates, medals or trophies. In addition to our in-school PE timetable, we offer a wide variety of after-school clubs to children of all ages: Gymnastics, Football, Tennis, Dancercise, Netball, Tag Rugby, Tae Kwando and Multi-skills. We believe it is important for children to develop their knowledge, skills and understanding further in a variety of sports and encourage them to pursue their hobby outside of school too. 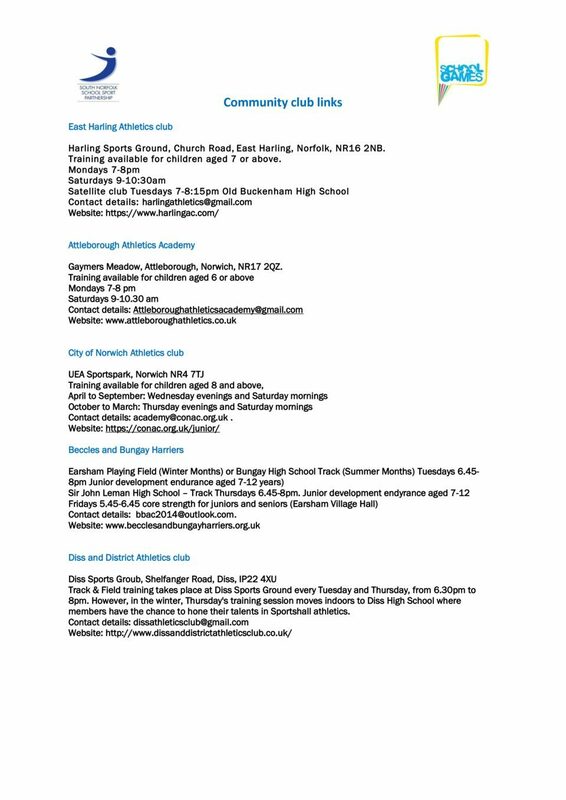 As a school, we have an extensive list of clubs, many of whom we have active links with, to help parents/carers find trusted local sporting clubs to take their children to. 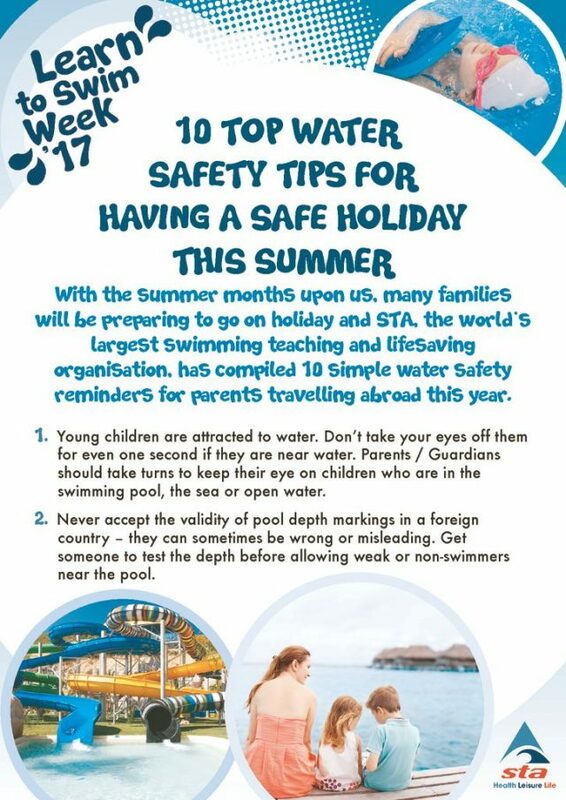 It is our duty as a school to ensure that all pupils leave Harleston Primary being able to swim competently, confidently and proficiently over a distance of at least 25m. All children from Years 3 to 6 have regular swimming lessons at Archbishop Sancroft High School. They are taught by a qualified swimming instructor and supported by other trained members of staff. Children, who are unable to confidently swim 25m towards the end of year 6, attend additional catch up sessions within small groups, before they leave our school. As a celebration of sport and all of the hard work the children put into PE each year, we hold two summer School Games sport and family fun days. Each year we begin with an opening ceremony, which celebrates particular pupils’ skills and abilities in a variety of sports from gifted and talented pupils’ right through to the dancercise group sharing a final performance. As a school we feel it is very important for parents/carers to come and celebrate with us too. We invite all family members along to watch their children compete in a range of activities, and cheer on the winning house that is awarded a trophy at the end of the day. We finish off, what usually is a beautifully sunny day, with a family picnic on the school field. In May 2017, our children took part in a more traditional sports day, which incorporated a variety of inclusive events. We had a very musical opening and closing ceremony, which all the spectators enjoyed (some even joined in!). We ended the day with a fantastic awards ceremony, which celebrated the day and all our sporting achievements for the year. If you would like to find out how we have spent the Primary School Sport Funding money that we received then please look under: Key Information – Primary School Sport Funding on our website for a breakdown.